Essie All-in-One Base and Top Coat is a caring top coat and base coat in one. 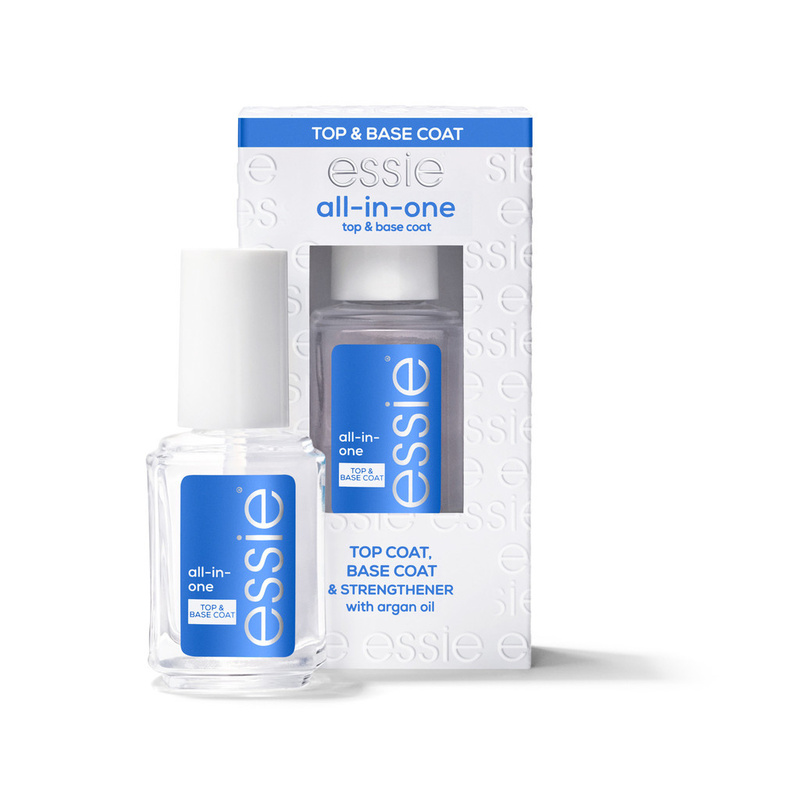 This topcoat not only strengthens your nails but also ensures that your nail polish stays on better. The topcoat is colorless and gives a nice shine, so that it can be used over any color of nail polish. 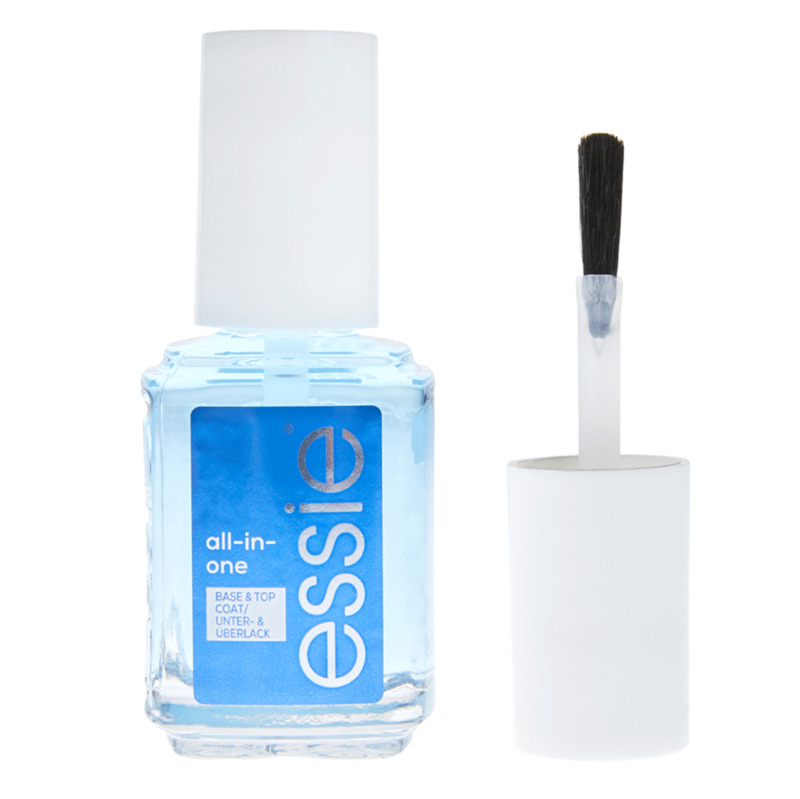 Use this top coat before and after applying your nail polish for optimum results. Topcoat and basecoat in one. Nail polish stays in place better. 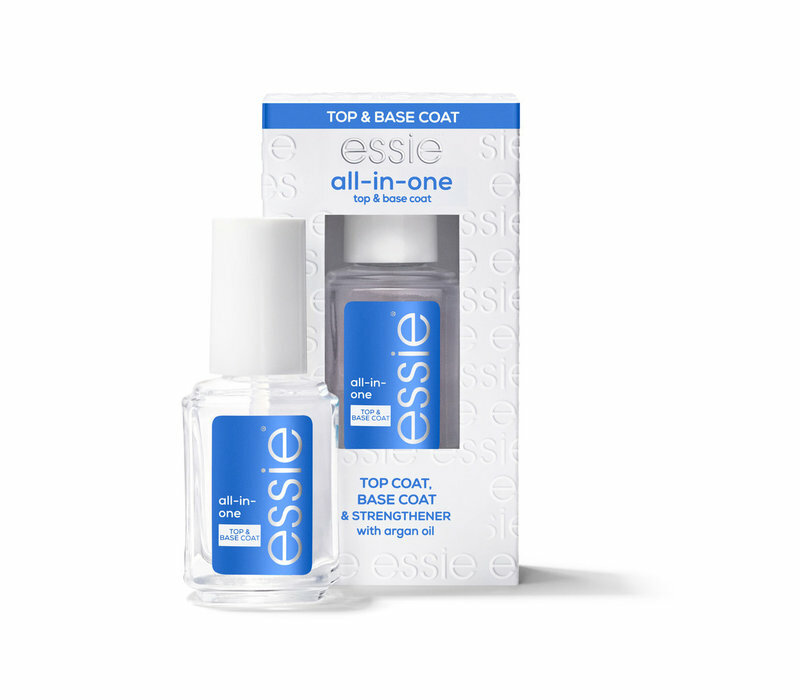 Apply the topcoat on your nails. Then apply 2 layers of nail polish with your favorite color. 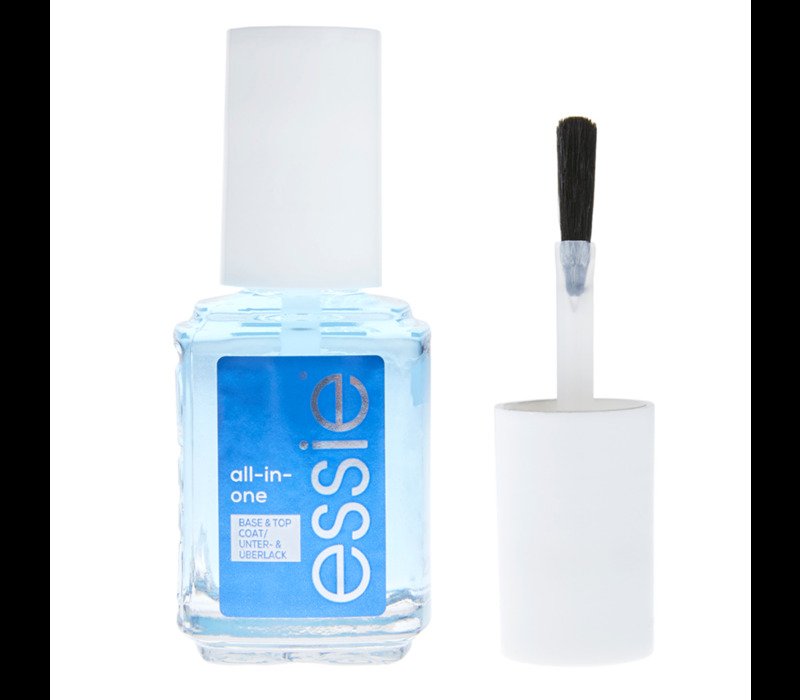 Finish again by applying the topcoat.